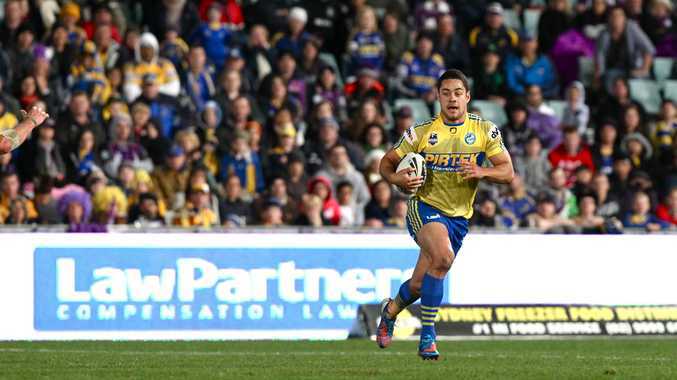 It seems not only Parramatta fans love fullback Jarryd Hayne. The former Dally M Medal winner is leading the public vote for the annual NRL All Stars game. With a little more than one week to go in phase one of the voting ahead of the game at Suncorp Stadium in February, Hayne is in No.1 spot ahead of Akuila Uate, Brett Morris, James Tamou and Billy Slater. North Queensland's Tamou is the highest ranked forward at No.5 in the voting to make coach Wayne Bennett's All Star team and the 23-year-old said he was delighted to be thought of so highly. "It's very flattering to have so much support," Tamou said. Rounding out the top 10 in the voting are Fuifui Moimoi, South Sydney halfback Adam Reynolds, Josh Morris, Michael Jennings and Cooper Cronk. The first stage of voting for the All Stars team finishes on November 26. The second phase begins on December 10. Meanwhile, controversial forward Willie Mason has resigned with the Newcastle Knights and will remain with the club until the end of the 2014 season.